We are thrilled to announce that The Institute of English Studies, University of Warsaw is organising 1st Warsaw Literary Meeting Rising Stars, a one-day interdisciplinary conference for young ambitious scholars (MA and PhD students) which is held in Warsaw at 69 Hoża Street. The conference will have the form of a workshop, speakers are asked to prepare and send their papers beforehand to all participants. During the workshop each speaker briefly summarises the main points, after which all the participants are invited to take part in a discussion. All papers presented during the conference will be included in a volume of conference proceedings. 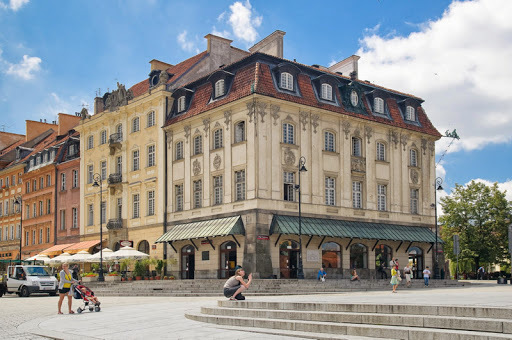 We cover accommodation costs for one-night stay at Hera, the University of Warsaw Hotel (including breakfast) and provide coffee, tea and buffet meals during breaks. We cordially invite all the supervisors of the young scholars. If they wish to attend, we will cover their accommodation costs for one-night stay at the same hotel. Body Poetics: The Representation of the Body in English Literature and Culture of the 18thand 19th Centuries. The aim of the conference is to explore representations of the body alongside social, cultural uses and meanings of the body across English literature and culture of the 18th and 19th centuries. We welcome responses from various disciplines (literary studies, cultural studies, philosophy, art, history, etc.) including a wide range of approaches and methodologies. You can find details of the conference posted at this website. The conference will be opened with a plenary lecture by Professor Ann Heilmann, Cardiff University. We would be grateful if you could share the information with your MA and PhD students. Deadline for abstract submission (200–250 words) and a short biographical note: 18 February, 2018. Please let us know in advance if you wish to have a room booked for you. If you have any queries, please email the conference coordinator, Magdalena Pypeć, at the conference address above. OBE for Prof. Fernando Galván Reula!